9-1/4 dia x 11 pitch. Michigan part number: 012016. 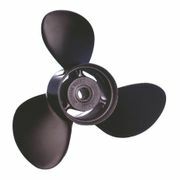 Applications: Evinrude Johnson/ OMC Seadrive 25 HP ('78-'84), 25c HP Spline Drive ('78-'91), 28 HP ('86 thru).